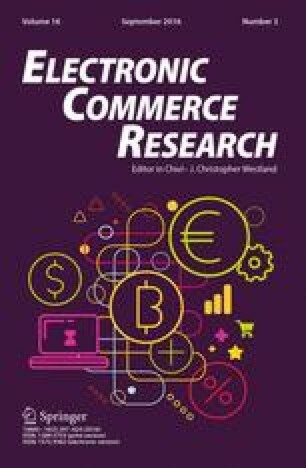 Although Internet retailing has become part of mainstream commerce, there is still lack of research related to web interface design as a function of product price, product complexity, and personal involvement of consumer with the product. Different types of products require different aspects of information and environment as demanded by consumers; thus, it is imperative for retailers to appropriately tailor their online presentation of products. Drawing from the elaboration likelihood model and media richness theory, we investigate the effectiveness of peripheral cue-dominated interfaces, balanced cue-dominated interfaces, and central cue-dominated interfaces on consumer purchase intention. Nearly 1000 subjects participated in this study over a period of 2 years. Our analyses provide support for the contention that the role of website cues (peripheral and central) on the consumer varies by the type of product. Our findings have implications for research and practice. The online version of this article (doi: 10.1007/s10660-015-9200-9) contains supplementary material, which is available to authorized users. Environmental cues—colors, pictures/visuals, expert advice or recommendation (3 stars out of 5), etc. Potential benefits of acceptance of new technology, comparison of alternative technologies, quality of system support, etc. Prior users, Recommendation from IT experts, affinity towards recommenders, etc. Online buy: how often do you buy online? Online spending: how much do you spend in a year buying products online?